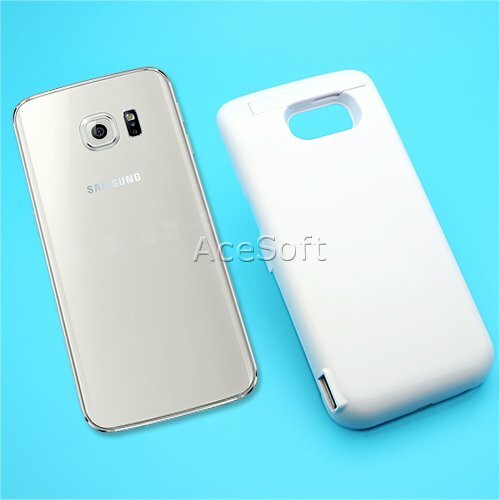 This package is specifically designed for Samsung Galaxy S6 edge ,Model SM-G925A from AT&T as we stated in our listing. There are many Samsung Galaxy S6 in the market, they all use different battery. If you do not have Samsung Galaxy S6 edge SM-G925A , this package is not for you. * Charging time: 4-6 hours. * This backup battery case provides your phone with the utmost protection against drops, scratches, and bumps even when not charging. * This Battery Case is extremely easy to install and use.simply take off the top cover of the battery case and slide your phone into the case. * Lift the top of the phone slightly from the battery case,then use bottom-up way to take out the phone from the case. * Built-in flexible kickstand for hands-free viewing,it's convenient for you to watch videos and movies with enviable comfort. * First-Time use or being used off:The backup battery case must be fully charged. * It can be a cellphone back shell bracket,mobile phone protective cover and battery charger. * 1. Keep your cellphone charged at 100% all the time. * 2. The LED lights indicate how much power is left in your phone battery case. * This back pack battery set could also serve as a mobile power station to charge your cellphone seperately,it could charge virtually any cellphone as long as a correct cable is used. * Hold the sleek ON/OFF button on the battery charger to turn the case ON and OFF whenever you need the extra power. * Using this backup battery case,you can charge your two cellphone at the same time. * The backup battery case will be charged after connecting to your Adapter charger. * High Quality,100% Brand New.